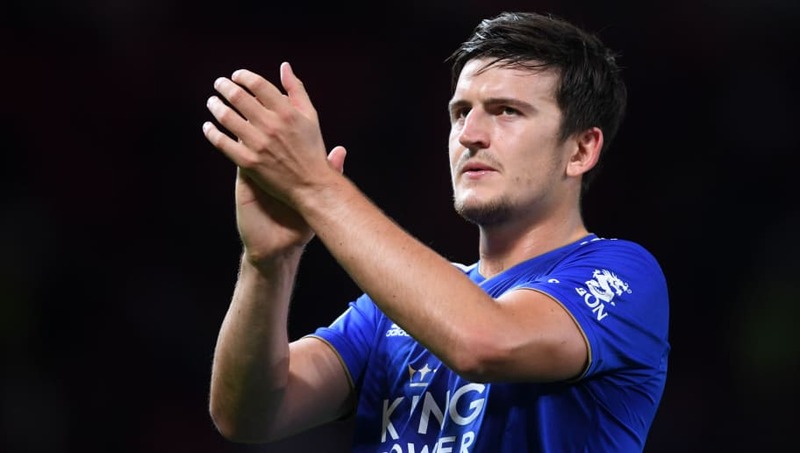 ​Manchester United are to have revived interest in signing Leicester City's Harry Maguire in the summer, and are set to make a fresh approach for the defender after failing to secure his services last summer. After an excellent 2018 World Cup campaign with England, United made Maguire their top priority to strengthen their backline last summer. However, their attempts to lure the towering centre-back to Old Trafford proved inadequate, and the player signed a new contract extending his stay with the Foxes until 2023. According to the Daily Star, Maguire is still determined to play at the highest level, and could be persuaded to join ​United this summer. The report suggests the Red Devils are confident they could land the former Hull City man with a bid of around £65m, and contends that Maguire's new deal was signed merely to drive up his value ahead of a sale next summer. Certainly, United could do with bolstering their backline, as they look to compete with the likes of ​Manchester City and ​Liverpool for the ​Premier League title next season. Maguire's physicality and confidence on the ball make him an alluring option, and he could offer United some real quality in defence next season. Caretaker manager Ole Gunnar Solskjær is believed to be keen on acquiring the 26-year-old in the summer, and the report suggests the United legend's input in transfer discussions could mean the club are ready to give him the job permanently. The Norwegian coach has excelled since being appointed last December, and has proved to be a real hit with the supporters. Meanwhile, ​Real Madrid defender defender Raphael Varane is rumoured to have informed his teammates of his intentions to leave the Bernabéu this summer. The France international is said to be eager to pursue a new challenge, and the news could be of great interest to United, as they look to strengthen their side in the summer.